Life expectancy has increased significantly over the past several decades and people live longer now than they did even 50 years ago. The average American now lives to almost 79 years old, nearly double the life expectancy for the average person in 1900. Yet, despite the number of older folks in our society, lack of respect and care for the elderly has become an increasing problem. As our society embraces a “throwaway” and materialistic mindset, we see a decline in the birth rate as well as a greater aging population. As society loses respect for the human person at even the very first moments of life, the next logical step is to devalue people near the end of their lives. It is a cultural epidemic that we see repeatedly. If we only value a human being as long as he is a functioning, contributing member of society, how can we see the young, the old, and the sick as nothing other than a drain on society and a burden to their families? In Japan, many elderly people commit suicide in order to avoid becoming a burden to their families or to keep from being alone. Families opt to “take care” of their aged or disabled members through euthanasia and physician-assisted suicide, ostensibly to put the older person out of his or her misery. This throwaway culture tells us that assisted-suicide is the only answer for pain and suffering. But as pro-lifers, we know all too well that death is not compassionate care. In a culture of life, no person is viewed as a burden, no matter how much care and attention they need. Senior citizens are some of the wisest members of our society, and they deserve to be treated with honor and respect. As elderly persons slow down in life, they are blessed with an opportunity to share their wisdom and teach the younger generations that every moment is a gift from a loving Creator and an opportunity to choose to love those around us. In summer of 2016, the Culture of Life Studies Program will release our second unit study in the Life Primer series for students in kindergarten through third grade. All Shapes and Sizes emphasizes the gift of all people, especially those who seem different—whether they suffer from disabilities, Down syndrome, or old age. 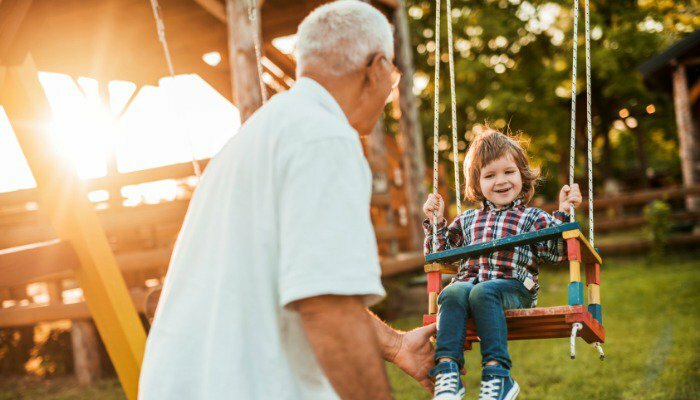 Grandparents or aging aunts and uncles are a gift to their families, as they are able to take the time to teach the younger generations about the simple things in life. All Shapes and Sizes uses two picture books by acclaimed artist and writer Tomie dePaola to show students how to treat their aging relatives with love and respect, no matter how much care they need. No matter what their contribution to society, all senior citizens deserve to be valued and treated respectfully. How can we value the elderly? Many senior citizens feel lonely, having outlived their spouses and many of their friends. Oftentimes family members live far away or do not visit frequently. Sometimes an elderly person is left all alone and has no one who cares about them enough to pay a visit. Take a few minutes during the week to visit some of your elderly neighbors to let them know that you care about them. Living in a nursing home is often difficult for senior citizens, and they are easily forgotten by their family and friends. Plan a trip to a local nursing home with your family or students. Younger children can decorate simple cards to pass out to the residents as a way of letting them know they have not been forgotten. A simple five-minute visit can make the difference for a person who has no one to comfort him in his suffering and isolation. Look for All Shapes and Sizes, the Culture of Life Studies Program’s unit study on the gift of every human being, in summer 2016! Visit our upcoming supplements page to see what other projects we have in development. Learn more about euthanasia and caring for the elderly in the Culture of Life Studies Program’s Euthanasia: An Introduction which teaches high school students what the Church teaches about end-of-life care and how we can respect all human beings from creation until death. Visit all.org/store to order your copy.